Learn how to draw a dolphin step by step. 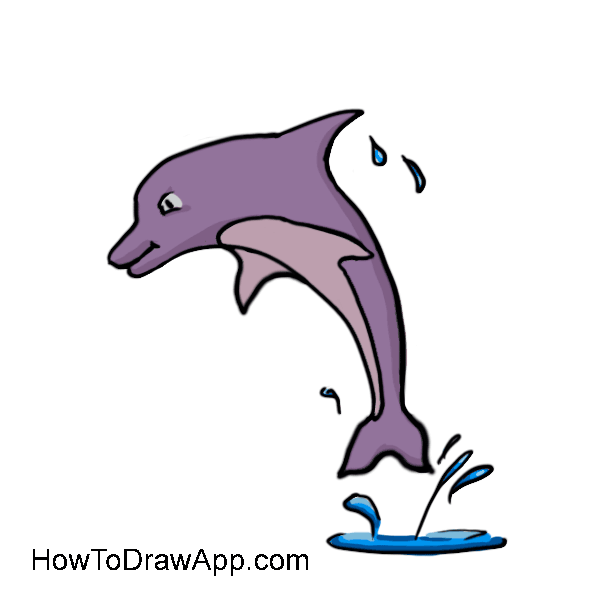 Draw auxiliary lines to mark a form of dolphin jumping from the water. 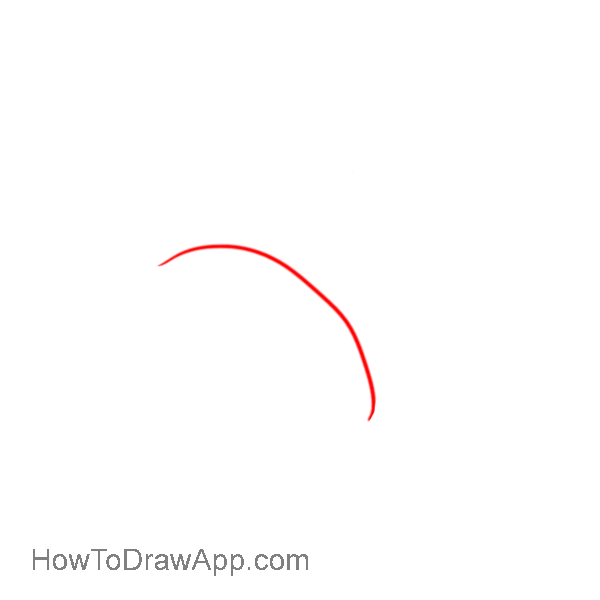 The lines curve as at the top of an oval. 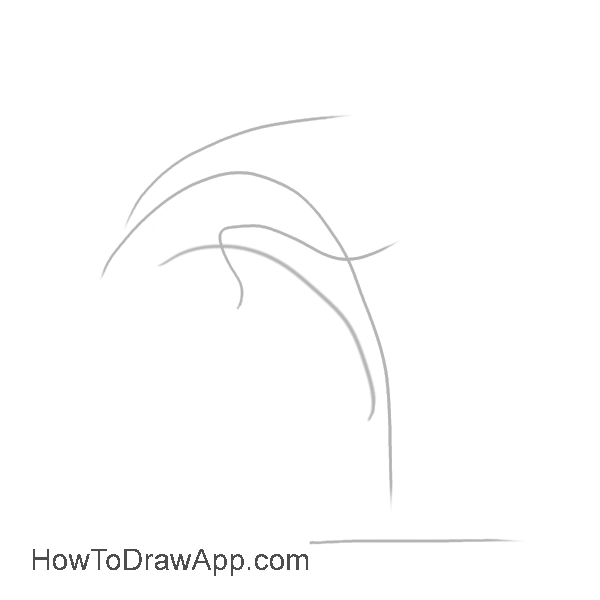 Draw a line for tummy. 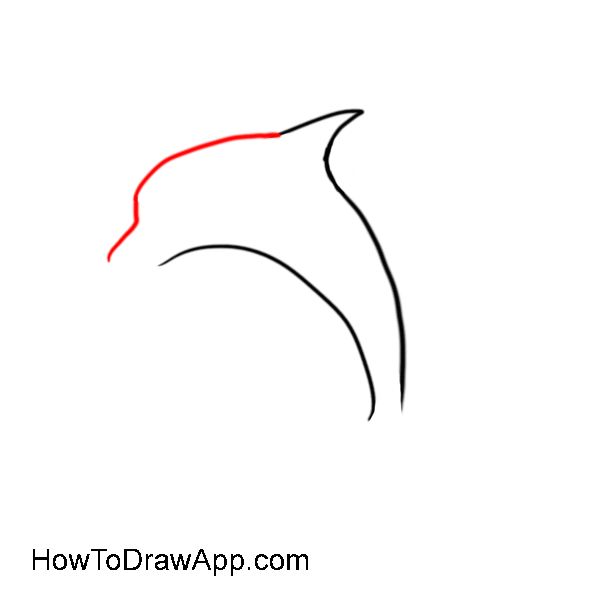 Draw the upper fin on the back. 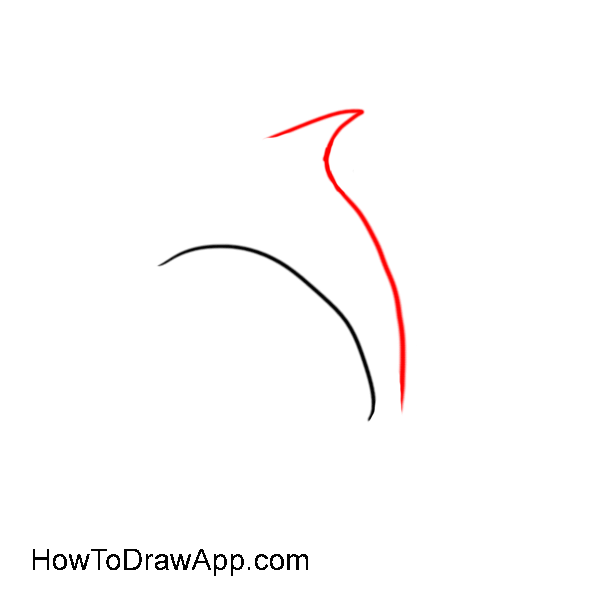 Draw the line of the head. 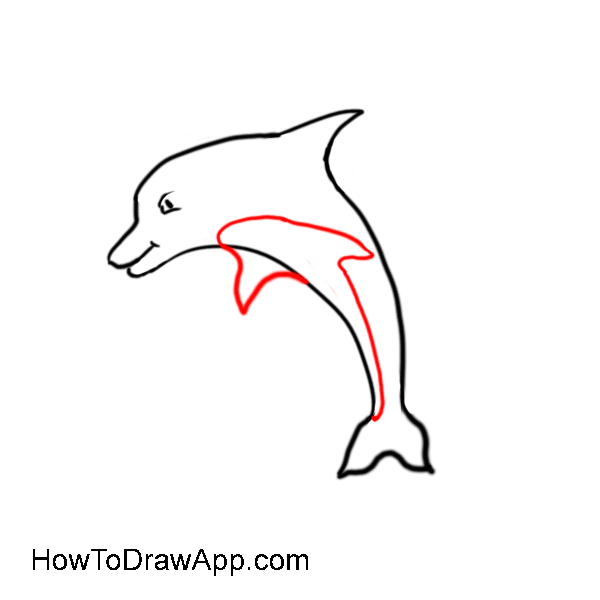 Draw an eye and mouth of the dolphin. 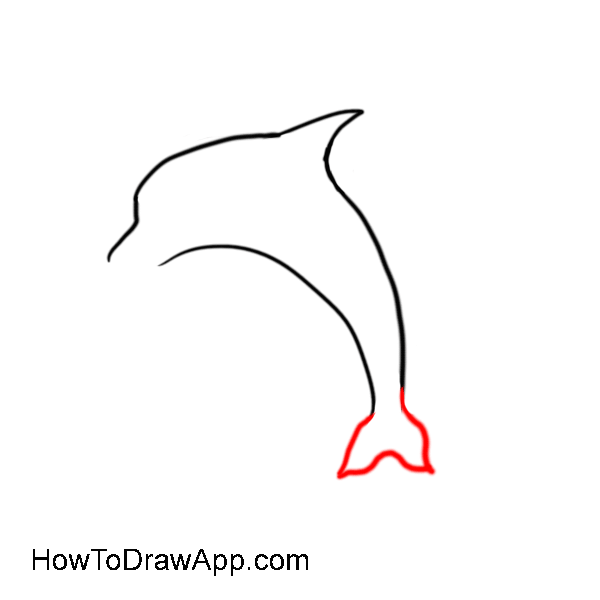 Draw a couple of lower fins. 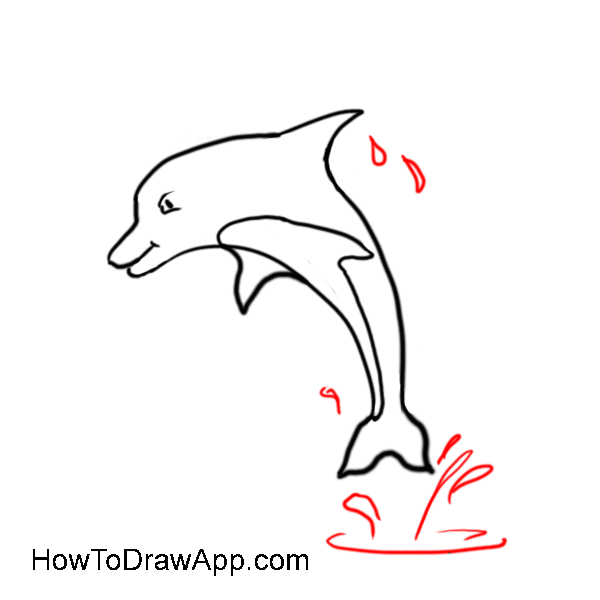 Add some drops of water. Paint the dolphin and it is ready.